Imagine owning a patch of land and one day a truck backs up, plonks down your new home and, voila, you’re a homeowner. Although a prefab home can seem like a friendly and easy entry into the property market, your bank most likely has had a different opinion … up until now. Prefab houses have been notoriously difficult to fund because there has been no security for the bank to lend against in the beginning. You’ve been required to pay for the dwelling before it was delivered to the site. Historically, this meant that it was out of reach for most first-home buyers—unless parents had enough equity to pay for the dwelling up front against their property. But there’s a glimpse of sunshine peaking out from behind the dark cloud hanging over the prefab home dream. Westpac have recently completed a successful nine-month pilot in both Albany and Invercargill on a new build product called Prebuilt—a dedicated mortgage product aimed at helping Kiwi’s get into prefabricated homes. They’ve just announced this product and are beginning the process of rolling it out to all of New Zealand. The prefab home market is expected to grow over 200 per cent in the next year. 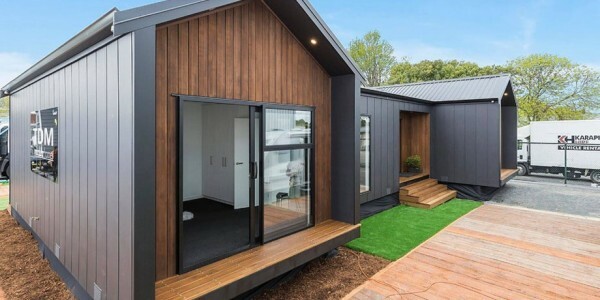 So, with Westpac’s new product on offer, the prefab homes should be a hit with both buyers and builders. But what exactly is a prefab home? Prefab homes (prefabricated homes) are built under controlled conditions, usually in a factory, and are transported to their final location by truck. · They can be cheaper and their costs are tightly controlled (so no project blowouts!). · The build time is also much quicker than your standard build, with some prefab homes taking just 18 weeks. · The overall cost is around 15 per cent less than a standard build. The prefab home designs have also come a long way in the last few years, with trendy and modern options on offer. So dream on … and chat to us about the options!